Scroll through the pictures above to see some of the items for sale at this year’s Mini-mall. This year’s event features more tables than ever. Employees can visit the vendors until 3 p.m. today (Oct. 26) in the third floor conference area at 650 Newtown Pike. Health Promotion’s (HP) Nancy Hiner and Melissa Smith, along with HP Intern Jennifer Schneider, participate in the Food 4 Thought Program at Edythe J. Hayes Middle School. Click here to learn more about Food 4 Thought and how it encourages students to eat healthier, make healthier choices and take those messages home. Public Health Medical Records Specialist Rebecca Young gave birth to Nathaniel (Nate) Allen Young at 10:20 p.m. Tuesday, Oct. 23, 2012. 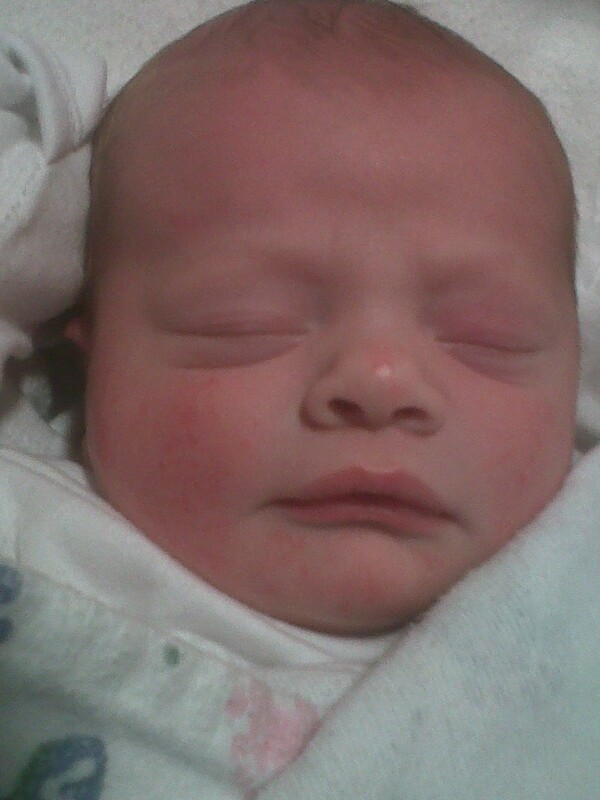 Nate weighed 8 lbs. 10 oz. and was 21 inches long. Congratulations, Rebecca! Environmental Health and Epidemiology staff, along with other volunteers, kicked off the Healthy Homes CASPER Survey by attending a training at 805B Newtown Circle the morning of Wednesday, Oct. 24. What is the CASPER Survey? Kem Crumbie (Medical Records) and Allison Douglas (WIC) were awarded during the Public Health Clinic Staff Meeting Tuesday, Oct. 23. Both employees have not been late or called in sick during the last year. Congratulations! Dr. Lisa Turner, assistant professor with the Berea College Nursing Program, recently sent in a letter thanking the health department for letting students volunteer at Free Flu Friday. The Bloodmobile rolled in to the health department October 17. A total of 10 donors (two of which were first-time donors) helped reach the donor goal, and saved the lives of 30 very grateful Kentucky patients. Here are just some of the latest things going on around the health department. 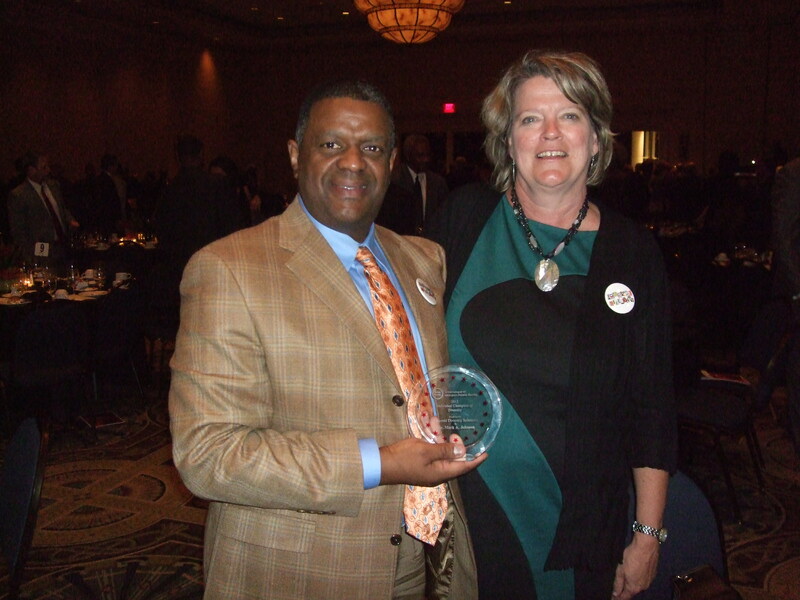 LFCHD’s Mark Johnson recently received the inaugural Individual Champion of Diversity Award from the Urban League of Lexington-Fayette County.